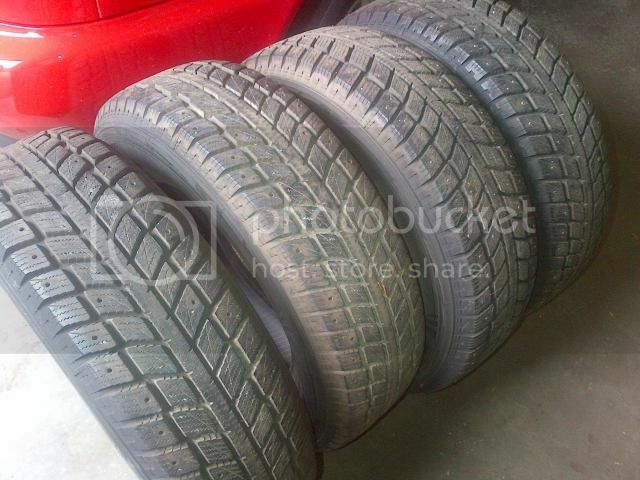 Managed to find a nice set of Hankook i-Pike winter tires in 225/70s to replaced a set of worn 235/70's for the winter. But, two of the tires are studded. If I were to throw these on, would the rears or fronts make sense for the studded pair? Or I could just pull the studs all together before I mount them. This isn't going on my daily driver, I maybe drive it 2 or 3 times a week and never very far or fast. I know PA has a Nov. 1 to April 15 rule on studded tires as well. Re: To stud or not to stud? To my mind, if the application is not on your daily I would go with studded tires. The need is rare around here but certainly nice if you do. Well, the other Rover has 245/75 M+S tires on them. Still very capable in the grand scheme of things. Both of them combined with be the daily drivers when its cold and snow.